Mina Shum at TIFF 2017. Photo by R.A.Lucas. Used with permission. Mina Shum moved with her family to Vancouver when she was one-year-old. She grew there and attended the University of British Columbia earning a dgree in theatre and film production upon graduation in 1989. 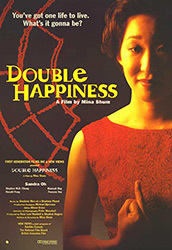 She made a number of short films before her first feature, Double Happiness in 1994. 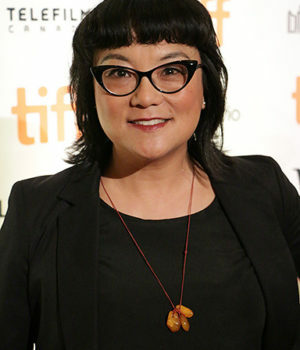 The semi-autobiographical film, which was developed while Shum was a director resident at the Canadian Film Centre, is based on Shum’s early experiences of leaving home as a teenager. It premiered at the 1994 Toronto International Film Festival where it was given a Special Jury Citation for Best Canadian Feature Film. It also won Genie Awards for Best Actress (Sandra Oh) and Best Editing with additional nominations for Best Picture, Best Direction, Best Screenplay and Best Cinematography. It also won the Audience Award at the Torino Film Festival in 1994 and was named Best First Feature at the 1995 Berlin Film Festival. 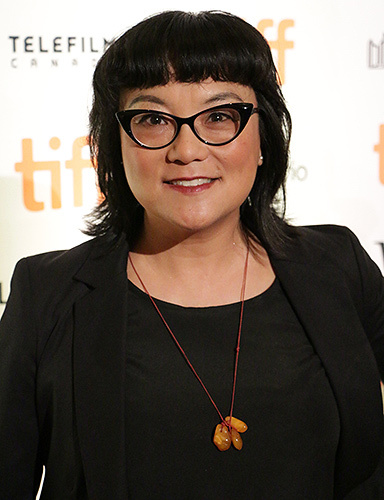 In 2016 Mina Shum received a Spotlight Award from Women in Film & Television Vancouver for her documentary, Ninth Floor.